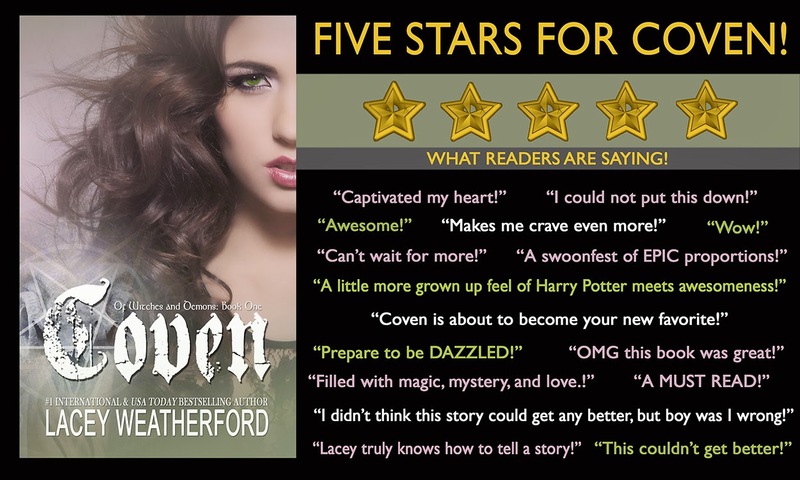 Of Witches and Warlocks: LAST DAY to get New Release and Paranormal Bestseller, COVEN, for .99¢ and Join the Rafflecopter!!! LAST DAY to get New Release and Paranormal Bestseller, COVEN, for .99¢ and Join the Rafflecopter!!! 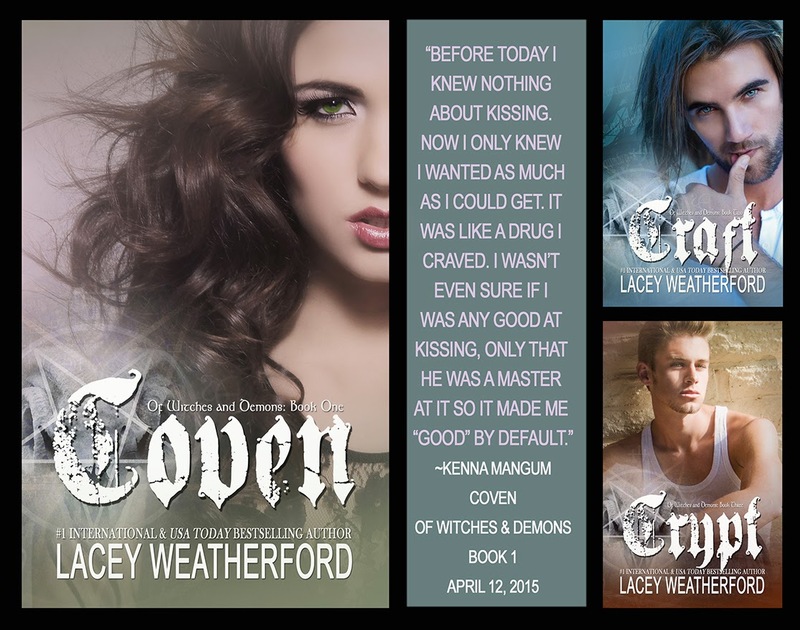 Coven, book one in the Of Witches and Demons series, Now Available. Craft, book 2, and Crypt, book 3, pictured also. Release Week is coming to a close today, and that means it is the LAST DAY to get COVEN at the .99¢ sale price before it goes forever to its regular price of $2.99 on eBook! DON'T MISS OUT! Join in with the many other readers falling in love with this story and find out WHY reviewers are calling it Lacey's BEST BOOK EVER! Actual comments by reviewers direct from product pages. Kenna Mangum was born a witch. She’s always known it -her family has always known it - from the moment she burst into flames in her father’s arms after she was delivered. Denied interaction with regular society while she was coached into controlling her powers, Kenna has always felt a longing to join the rest of the world and get to experience a “normal” life. Now her wish is about to be granted. But when Kenna goes to public school for the first time she meets not one, but two amazing guys, both with secrets of their own. Now Kenna fears all chances of “normal” just disappeared.